There are so many wonderful places to visit on holiday that sometimes, deciding where to go becomes a real challenge. Have you ever visited Malta in the Mediterranean? If not, this is the place to go on your next holiday. However, with so much to see, do, and experience in Malta, it is suggested that you plan for at least a fortnight in paradise. To be honest, many holidaymakers even extend their time in Malta for an additional week or two because it’s like stepping back to a simpler time, but with all the amenities of the hi-tech world. Seeing is believing! 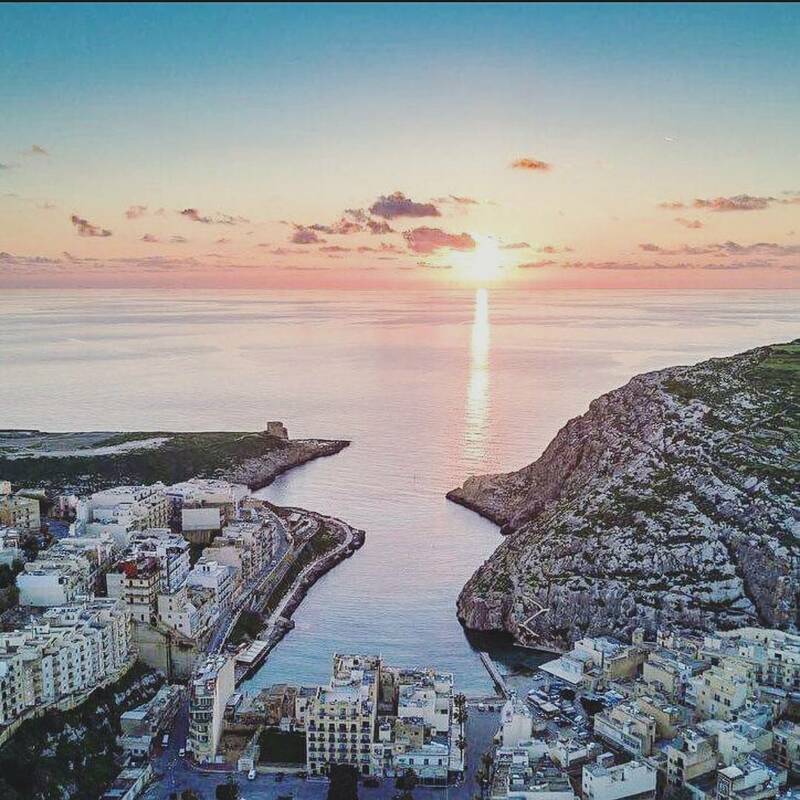 While it can be a bit chilly in the mid-winter months for a day on the spectacular beaches the Maltese archipelago is famous for, you can certainly walk the shores or hike the hills to get a bird’s eye view of the beautiful Mediterranean. Unlike the UK where the temperatures are too frigid to stay outdoors for any length of time due to snow and a bitterly cold climate, Malta and Gozo can get chilly, but rarely ever cold enough to keep you inside. Even the summer months are rarely too hot to keep you out of the sun, so any month is absolutely perfect for a holiday on Malta and Gozo. Just check out the average annual temperatures to see for yourself. Have you ever gone on holiday and lost your way, needing directions, only to be ignored when trying to seek assistance? You won’t find much of that in Malta, but Gozo is even friendlier yet. Perhaps because as the smaller of the sister islands, Gozo is more rural in nature. With over 300,000 residents in the entire Maltese archipelago, only 31,000 (roughly) live on Gozo. While Gozo is comparatively smaller in size than its sister, Malta, the population is nowhere near as dense. In other words, there are fewer people per square mile, which adds to that rustic appeal many holidaymakers crave following life in big cities like London, Manchester, Liverpool, or Edinburgh. Also, the language spoken by the locals makes it particularly convenient when trying to converse with them. Although Maltese, a Semitic language written with Latin characters is spoken by the locals, English is also an official language. Being part of the British Commonwealth and a member nation of the EU, it only stands to reason that all legal and official documents are printed in both tongues. Interestingly, the Maltese language has absorbed almost 1/5 of its vocabulary from English, so the blend is to be heard no matter where you travel through the three inhabited islands. For many, many years Stonehenge has fascinated the world and so holidaymakers coming from the UK want to see what the Neolithic temple remains in Malta have to compare with their beloved Stonehenge. Just as global travellers can’t visit the UK without stopping to see this ancient site that has been theorised as everything from a village to a temple to a burial ground, so too do visitors from the UK to Malta need to see first-hand the two ancient temple ruins that predate even the pyramids by at least a thousand years. Whether you think aliens helped lift those heavy stones or the peoples were more advanced than we’ve given them credit for, you definitely want to visit Gozo on your trip to Malta because that is where you’ll find the world’s oldest freestanding temple ruins. Malta is a diver’s paradise and many holidaymakers enjoy diving to check out the wrecks off the coast, as well as exploring the underground caves, caverns, and tunnels. When speaking of the mild climate mentioned above, divers are particularly fond of Gozo and Malta because the sea temperatures remain warm enough to dive in all through the year. The air may be a bit chilly, but the water is warm from the direct rays of the sun. Since Malta is in the center of the Mediterranean with such lovely warm waters, diving isn’t the only water activity, as many hobbyist and commercial fishermen set off from the coast as well. Fishing and diving are huge in Malta, so if you love the water, this is the destination for you. Throughout the three inhabited islands of Malta, Gozo, and Comino, you will find that the Maltese people love their festi. These are feast days or festivals, which are famous for their processions through the city and the grand fireworks the Maltese pride themselves on making. To this day, they are still made in the age-old custom, handcrafted way with the hopes of winning this year’s award. They take their fireworks that seriously, and indeed, they take the entire year building them until their turn comes around next year. This is the one time of the year when everyone gets a new outfit, even if money is tight throughout the remainder of the months. A new outfit for a fiesta is a tradition and Gozitans are especially proud of their new attire. When it comes to finding accommodations in Malta or Gozo, there are places to suit all tastes. If you are into luxury with the bright lights of a city, Malta would be the place to stay in any number of 5-star world-class hotels. However, if you are looking for a holiday destination that captures the essence of the local people and culture, Gozo would be a better choice. As a smaller island with a less dense population, Gozo is a holidaymaker’s dream come true. From rustic Mediterranean farmhouses to rent to grand hotels made in some of Gozo’s finest historical buildings, there is something for everyone with the exception of the bustling crowds on the larger sister island. Book a self-catering farmhouse for privacy or a luxurious suite in a Gozo hotel and you will feel like you’ve really experienced Malta at its very best. This year, make Malta the destination for the most amazing holiday you’ve ever experienced. Winter, spring, summer or autumn, you’ll find the perfect weather to enjoy literally any activity you desire. Looking for a holiday in paradise? Visit Malta and Gozo in the heart of the Mediterranean Sea and enjoy.